15/10/2007 / Be the first to comment! / Be the first to like this! Jordan Waeles is back for good with a special set featuring deep trance! 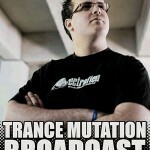 If you like those tracks, buy the compilation "Heaven 5, deep trance essentials" on NEWS label!